Your roof is an expensive investment, and an important part of your home’s overall value in the long term. When you spend the money on something as important as your roofing in Newnan GA, you should do whatever you can to protect it. Here are some ways that basic repairs and regular maintenance can keep your roof in great shape for many years to come. No roof is maintenance-free, so in order to make sure you do all the necessary roof repairs for your Newnan home, the first step is to create a roofing maintenance plan. Homeowners should plan to get their roof inspected at least once a year, in the fall or the spring (or both) by a professional Newnan, GA roofing contractor who is trained to spot even small or seemingly insignificant things that should be repaired right away. 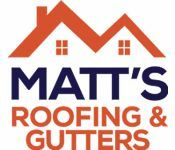 In addition to repairing your roof, it’s important to create the best possible “roof environment” by trimming back trees, removing debris, and cleaning out gutters regularly. In addition to checking out the roof from the top, make sure you are regularly inspecting and maintaining the part of your roof that is below—in the attic. Increase your insulation to protect against too much warm or cold air escaping your home through the attic, and make sure you have adequate roof ventilation to prevent moisture buildup that can lead to mildew and mold growth. Regular roof maintenance for your Newnan roofing is like getting an extended warranty on one of your biggest investments. Improperly maintained roofing will often wear out sooner than expected, while good maintenance can give you an additional three to five years of use. Trust worthy and A+++ work! Great company and I would refer this company to any one of my family and friends!